Text Equip only to a Warrior monster. It gains 300 ATK. 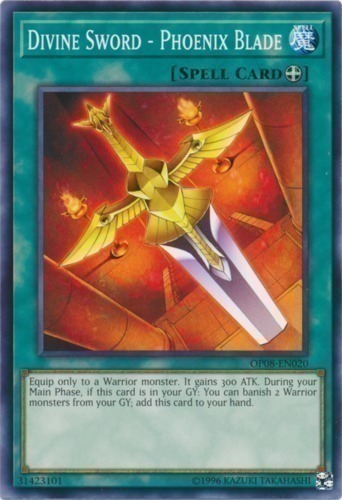 During your Main Phase, if this card is in your GY: You can banish 2 Warrior monsters from your GY; add this card to your hand.